Season finale at Canadian Tire Motorsport Park. 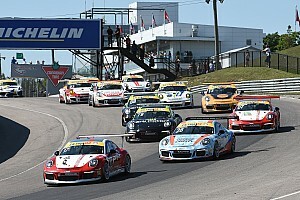 Scott Hargrove, Marco Cirone, Tim Sanderson and Chuck Harris clinched Ultra 94 Porsche GT3 Cup Challenge Canada by Michelin season championships Sunday at Canadian Tire Motorsport Park. Hargrove (in photo), Cirone and Harris only needed to start the 45-minute race to wear the crown in Platinum Cup (2014 car models), Platinum Masters (drivers 45 and older) and Silver Cup (2005½-09 car models), respectively. But they instead won season championships in style, winning the race in their respective classes. Sanderson entered Round 10 Sunday with a four-point lead over Jerimy Daniel and finished second in the class in the race, all he needed to win the title by two points. "It's a phenomenal feeling," Hargrove said. "I can't thank the guys enough. Michelin tires, IMSA, Porsche, everybody that helps put this series together. I'm proud to be the champion in only my rookie year. I can't wait to see where this goes." Hargrove, from Surrey, British Columbia, led from start to finish for the second consecutive day for his sixth victory of the season in the No. 69 OpenRoad Racing Porsche. He won by 14.541 seconds over Spencer Pigot in the No. 21 Alegra Motorsports entry, his largest margin of victory this season and the second-biggest winning gap of the season by any driver. Pigot, from Orlando, Florida, passed Chris Green for second place on the first lap and held that position for the rest of the race. Green, from Montreal, ended up third in the No. 9 Pfaff Motorsports Porsche, 20.106 seconds behind Hargrove on the 10-turn, 2.459-mile (3.957 km) circuit. Cirone, from Toronto, finished fourth overall and first in Platinum Masters in the No. 88 Mark Motors Racing Porsche. He dueled with fellow Platinum competitor Etienne Borgeat early in the race before passing Borgeat's No. 2 GT Racing Porsche with an inside move in Turn 10 with 29 minutes remaining and then pulling away. Borgeat, from Montreal, ended up fifth overall. Hargrove ended the season winning the championship by 22 points over Green, 192-170. It was title of equal parts surprise and assuredness. OpenRoad Racing team principal Christian Chia entered junior open-wheel standout Hargrove, 19, into the season opener in mid-May on Victoria Day weekend at CTMP as a one-off experiment. Hargrove rewarded that faith with two victories that weekend. So Chia continued to put young star Hargrove into his car at every event until the ultimate finish line - a championship - was reached. Hargrove never finished lower than second all season. "Going into the beginning of the year, I never would have expected this as the outcome," Hargrove said. "When I got the deal with OpenRoad Racing, the team owner (Chia) was like: 'If we could get on the podium, that would be great. I want a trophy for my new Porsche dealership.' And now here we are, we've got the championship trophy that will be able to go there." The victory also helped ease the sting of disappointment from a week ago. 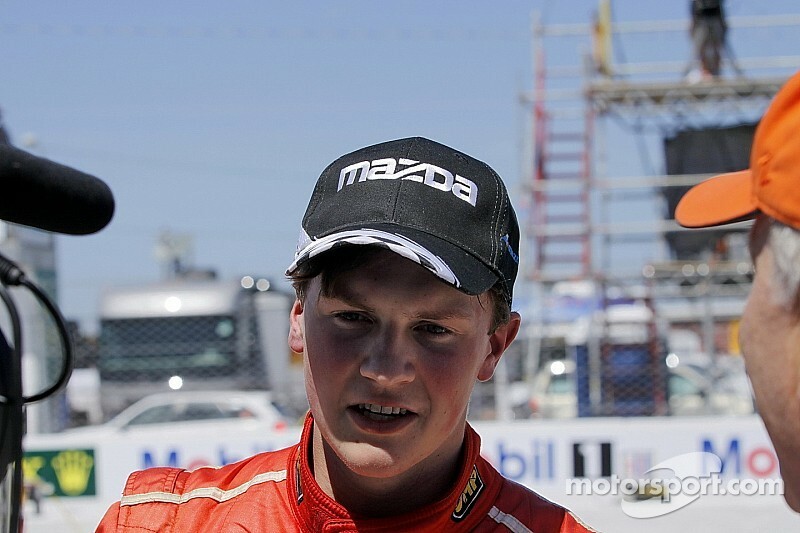 Hargrove lost the Pro Mazda Championship to Pigot when the gearbox failed in his car with three laps remaining while leading the championship and the season-ending race. "I put that behind me," Hargrove said. "This is a different championship, and now this is the highlight of my year. I've just got to move on from what happened last weekend and just cherish what we did this year in both series. I'm just excited to be here and the champion." Cirone also swept the season-ending weekend, earning his sixth Platinum Masters victory and his second consecutive title in the class. He was a steamroller for the second straight day, winning by 28.012 seconds over his closest competitor in the class, Carlos de Quesada of Odessa, Florida. Cirone started the season with four Platinum Masters victories in the first five races. But then de Quesada ignited in his No. 22 Alegra Motorsports Porsche, winning three consecutive races and pulling to within eight points of Cirone entering this weekend. But Cirone left no question marks about his intent to win a second straight championship since joining Mark Motors in 2013. He ended up with 188-176 gap over de Quesada in the standings. "I am so happy, and the team just did an incredible job," Cirone said. "I am so grateful to Mark Motors and my driving partner, Perry Bortolotti. If it wasn't for him, he put all this thing together, and I am grateful to him and Mark Motors, and I am looking forward to another season!" Perry Bortolotti, from Kanata, Ontario, finished third Sunday in the No. 84 Mark Motors Racing Porsche. 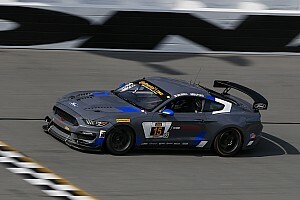 2011 Platinum Cup champion Bortolotti rallied from a heavy, race-ending crash Saturday to earn his eighth podium finish of the season after his crew worked deep into the night to repair his 911 GT3 Cup car. Sanderson, from Pickering, Ontario, closed the deal on his first Gold Cup championship by finishing .531 of a second behind Daniel. That was enough to secure a two-point advantage, 178-176, in the final standings. Sanderson finished second in the Gold Cup standings last season, just four points behind de Quesada. So this title provided sweet satisfaction. "Last year we were just a couple of points short of the championship, and I will honestly say this feels a little better," Sanderson said with a wry smile. "I'm just happy to get over the finish line in one piece, and my hat's off to everybody else in the Gold class. It was a great season. The competition was amazing. Our Joanne's House car ran awesome, and I'm just happy." Sanderson passed Daniel early in the race for the Gold class lead, building a margin of 1.523 seconds in his No. 07 Alegra Motorsports/Northwest Atlantic Motorsports Porsche after four laps. But Daniel, from Candiac, Quebec, rallied within a few laps to pull to within two car lengths of Sanderson. The two title protagonists then locked in a taut duel for the next five minutes, with the gap never more than two-tenths of a second. Finally, Daniel thrust his No. 75 TRC Porsche under Sanderson in the fast, fearsome Turn 1 at CTMP for the Gold lead with 28 minutes left. Daniel then stretched his lead to 1.583 seconds after just one lap, and Ilker Starck became Sanderson's main concern. Starck was only 1.667 seconds behind Sanderson in the No. 48 SCB Racing/Downtown Porsche entry. If he passed Sanderson and ended up second behind Daniel, Sanderson and Daniel would have ended up tied in the final points, with Daniel claiming the tiebreaker on more victories. So Sanderson managed his tires, kept his cool and gradually eased away from Starck's threat. He also managed to close the gap to Daniel over the closing laps, guaranteeing his championship. "Ilker was in my mirrors the whole way," Sanderson said. "Jerimy got past me, had problems with his car late in the race, and we got the points we needed today. It was a great race." Chuck Harris cruised to his ninth victory in 10 rounds this season in the No. 50 Alegra Motorsports Porsche. Harris, from Tampa, Florida, won the Silver Cup championship by 16 points over Tampa neighbor and good friend Keith Bass. "It was a great year," Harris said. "I had a great time, learned a lot and ran a lot faster this outing here than I did the last one. The car got better and better, and I got better and better with it. So I was really happy with the season, the race today and everything that Porsche, Michelin and IMSA do to put on this series." Bass finished second Sunday in the No. 49 Alegra Motorsports Porsche. 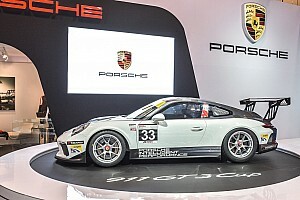 For more information on the Ultra 94 Porsche GT3 Cup Challenge Canada by Michelin, visit www.imsa.com and @IMSA on Twitter with the hashtag #GT3CAN. Live commentary for races is provided on Twitter at @IMSALive.